I knew there was something else, was thinking ridgeline but knew that was wrong. Wasn't sure if one of the hummer truck things could, didn't seem to from the pics I saw. The Baja and GM twins are the only ones I know of that made production, but it's quite possible there's something else too. I have no idea about the Hummtruck. I think the 1.4 would be fine for base. Tacoma/Colorado/Frontier all have sub 200hp options and would likely weigh a decent amount more than this thing. So presumably this is MQB based like the Altas? VW already has all the pieces in place to build something like this. It would be a niche product but it could be a good way to grow North American sales. The production Tarok will most likely be based on Ford C2 platform... Ford is working on its own unibody pickup truck. So I'm guessing VW will farm out the production to Ford. Last edited by bzcat; 04-15-2019 at 05:00 PM. Perhaps, but if their deal doesn't require it I doubt that they'd need to rely on Ford's version of a unibody pickup when MQB is so easy to switch up. I like it. Would work for 90% of what I "need" a truck for. I'd consider it--- just depends on the production details. Yes, but those are the stripper versions only used by mall cops and auto parts stores. There is no protection from the unsecured cargo flying into the occupants. I think in the Avalanche the bottom of the seats would flip-up and offer some sort of barrier. I don't see that in the VW - at least the one interior photo of the back seat doesn't show it. Wouldn’t every SUV, wagon, and hatchback have the same risk, with unsecured items in their cargo areas? I am not a truck guy in the least (nor CUV/SUV), but this is a cool little truck that would make Home Depot runs better than the trunk of my GLI or the wife's hatch in her GTI. If it comes here, hopefully it won't be stupidly priced like most trucks. Here's the biggest logic flaw with these kinds of trucks. Your statement is true. But, then there's people like me who will make fun of your girly truck and to avoid being teased, you'll get a real BOF truck. My good friend was considering a Ridgeline, when lucky enough for him I was able to incessantly tease him with a FWD pilot with the back roof chopped off. He wisely chose a Silverado. Face it-- These CUVs with an open bed are really, really lame. They deserve to be made fun of. Similarly, the new Silverado 4 cylinder? Stupid. Weak. Deserving of ridicule. Toxic masculinity can never let these girly euro vehicles thrive in the United States. The Ridgeline outsells both Nissan trucks and the GMC Canyon. It's more mid-pack than last place. I don't really understand people's (on this forum) problem with this kind of "truck". Everyone here always complains about the oversized "Brodozers" driving around with just one tiny soccermom onboard. Everyone here also begged for the return of sensibly-sized trucks or more mid-sized trucks. Honda, and now apparently VW, have heard our dreams/complaints, but are taking a "car-based truck" approach. Considering the generally great reviews the Ridgeline gets, it really is the right amount of truck for how most people actually use pick-ups. If another car company can match that functionality and usability benchmark, while improving on the aesthetics (the Honda's weakness), I think so-called car enthusiasts should welcome the attempt. How dare you speak with some form of sense? I agree 100%. Everyone is so worried about tow rating - yet I doubt many - if any at all - actually tow anything besides maybe a utility trailer. The Ridgeline is a brilliant vehicle - the trunk is a great and very usable feature. For me, it's right up there Chrysler's Stow N Go. Both are "can't live without features" that would compel me to buy that particular model over anything else. It's a good thing some of us don't give a tinker's damn what others think and wouldn't make a major purchase because some dude with masculinity issues was trying to ridicule me. It just wouldn't happen. That can be said of Transporter as well and yet we know VW is going to farm that out to Ford. True, but here in the US of A, we like options. Maybe importing the 3.0T from Audi would make for a nice high end option in this thing. 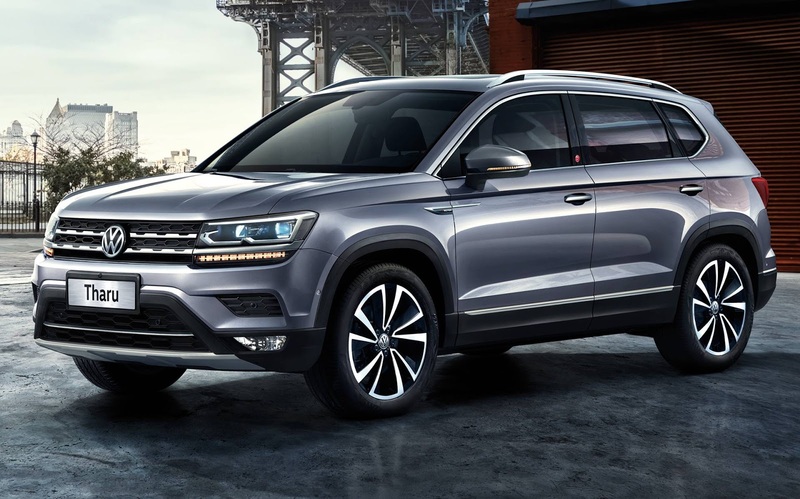 Just think if they could produce this at the Tiguan MQB price point. They would sell a bunch of these. So basically, you're an insecure mental midget who cares more about what others think than spending your money on something that fits your needs. Gotcha. Yes, but those are the stripper versions only used by mall cops, auto parts stores, and exterminators. Kinda proves the point though. The average consumer likely would use these for hauling bikes, mulch, and other household items. Rarely over 400lbs in the bed. Yes, but we know that because it's in the press release about the deal. It's all about the agreement and what each party is responsible for. It may be that any open bed pickup sold in the U.S. must be a Ford in origin, or it could be any BOF vehicle or... Who knows? Seriously, if anyone knows, tell us! This statement reminds me of people who call other people gay. One, its not insulting to buy a vehicle that fits your needs. I will not get offended or defend myself when someone says my car/truck/etc isn't manly. I also don't respond to people who call me gay whether they mean in or not. Why defend against something that isn't insulting/offensive? Agreed that it needs a larger engine, but VR6T* is overkill in a "compact" truck. At minimum it needs the 2.0T, TDI would be better (snowball's chance in hell), with a NA V6 as an option. *This engine doesn't even exist in production form. 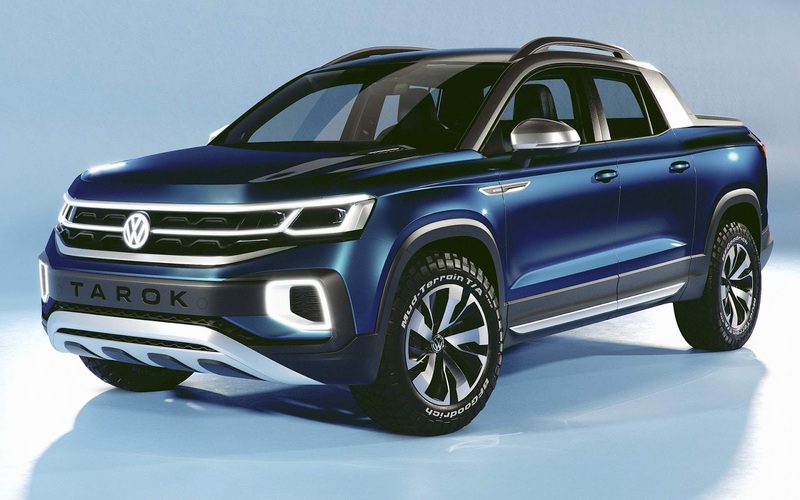 Rumors are VW is working on one, but it would go into high-end models, not a "compact" (read: midsize) pickup. Hell, I used to drive a Cabriolet. Did I care what people thought? Nope nope nope. I suppose some people did draw some conclusions, but so what? It's based on the MQB. The Tarok is basically a pickup version of the Tarek/Tharu CUV. Both will be built in Argentina starting next year. I said girly. Like when I pull up next to a GLI at a stoplight and expect to see a 20-something year old female, girly. People stopped using gay as an insult in 2011. Get with the times and stop being homophobic. Sorry for your small ****. One day you might grow up.